UMP | University of Minnesota Press Blog: Meet the architect behind several Midwestern landmarks -- including the Hollywood, Uptown, and Varsity Theaters in Minneapolis. Meet the architect behind several Midwestern landmarks -- including the Hollywood, Uptown, and Varsity Theaters in Minneapolis. Today's post is by Alan K. Lathrop, who was curator of the Manuscripts Division at the University of Minnesota Libraries from 1970 to 2008. He is the author of Churches of Minnesota (2003) and more recently, Minnesota Architects (May 2010). The Fourth of July will mark the 117th anniversary of the birth of Jacob “Jack” Liebenberg, one of Minnesota’s most prolific and successful architects. Jack was born in Milwaukee on July 4th, 1893, and came to Minneapolis as a teenager to attend the University of Minnesota. He graduated in the first class from the School of Architecture in 1917 and went on to serve for two years in the fledgling Army Air Corps during World War I. Following his military service, he established a successful partnership with Robert Martin and his brother-in-law, Seeman Kaplan, in 1919. Martin left the firm after a few years and Liebenberg and Kaplan went on to generate more than 4,000 commissions. Chief among them are a number of movie theaters in Minneapolis and the Upper Midwest designed in the Art Deco or Streamlined Moderne style, for which they are best known today. 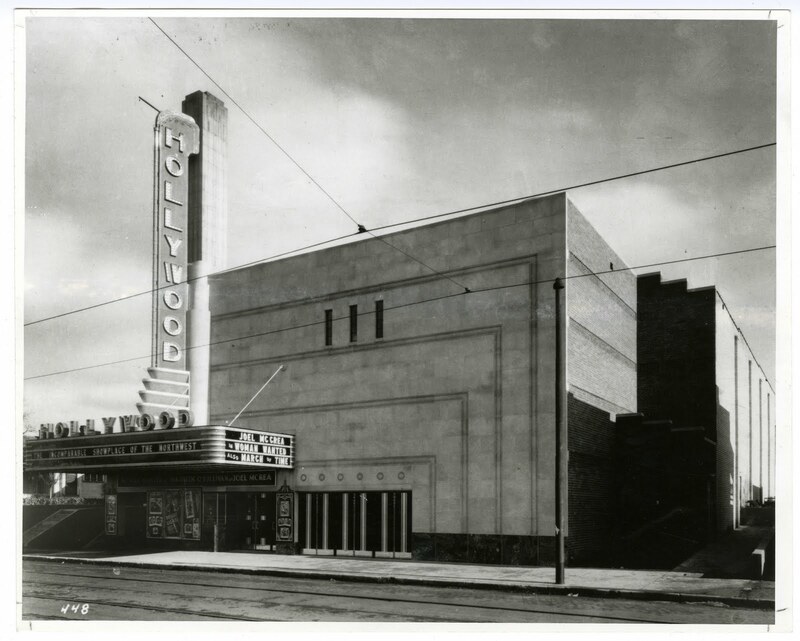 These include such masterpieces as the Hollywood (pictured above in Minneapolis, 1935, and is currently eligible for a place on the National Register of Historic Places), Uptown, and Varsity Theaters in Minneapolis, the NorShor in Duluth, the Fargo in the city of the same name, and the Maco in Virginia. All were built between 1935 and 1940. Jack was a special friend of mine for the better part of a decade. I first became acquainted with him in 1975 when I worked with him to rescue his office records literally from the bulldozer. The story goes like this: Late one afternoon in 1975, I was contacted by Jack, whom I had known only by reputation, who was desperately worried because a storage shed and his office building on South 13th Street were about to be demolished to make way for the Loring Greenway (a bike and pedestrian parklike mall that would extend from Nicollet to Harmon Place, linking several then-planned apartment and condominium projects). A large number of Jack's building plans were stored in the shed. He said the wrecking crew was on the site and that they were starting to tear down the shed and wondered if I could help get the records out of it before it was destroyed. I raced down to meet with Jack and with the wreckers, who argued that they could not delay. “Every hour of delay costs us money” was the argument. I told them I had powerful friends in City Hall (something of an exaggeration) and “heads would roll” if the contents of the shed were lost. The wreckers stopped work for the day but said they would be back in the morning. Meantime, I phoned Lee Munnich, alderman of the ward in which Jack’s office was located, and spoke to his aide about the situation. The aide agreed to help out and I went home, hoping the collection would be there long enough to get a truck from the University of Minnesota Libraries to haul the records away. Next morning, I called the libraries’ shipping department and arranged for a truck to arrive at the site at noon. I raced back to the site where I learned from the foreman that he would delay the demolition until we could empty the shed. At 12:30, the truck and two student workers arrived and we worked furiously to get the records out of the shed, a portion of which had already been carved away by the bulldozer leaving the roof hanging precariously over the entrance. Nowadays, we would not have been allowed inside the building (at least not without hard hats). An hour later, we had it emptied. The foreman, who had obviously been given a stern message from Munnich’s office, now was very cooperative and asked repeatedly if we had everything we wanted out of the shed. When I assured him that we did, we left. As I drove off the lot, I looked back and saw the bulldozer, which had been idling next to the building, its driver anxious to get to work, tear into the one-story concrete block structure and level it in one pass in a cloud of dust. Jack’s collection was very important because it contained documentation for all of the movie theaters as well as many of his other building commissions and became a significant part of the Northwest Architectural Archives. About five years later, when Jack retired, he offered me another large collection of drawings that he had moved to his home in Edina, including photographs and specifications for many of his works which were not included in the collection I rescued from the shed. Jack was a good friend as well as an invaluable source of information about other architects of his generation and was always cheerfully willing to answer my questions whenever I called on him. He would always answer the phone in a quiet, unassuming voice: “Liebenberg’s office,” and would unfailingly thank me for performing a “wonderful service” for architects by preserving their records. About 1979, I conducted an oral history with Jack and his former business associate, Al Wilwerding, which is preserved in the Archives. It contains many stories, some humorous, others poignant, of colleagues and clients he knew throughout his long career. By then, Jack was working alone in a small office across the street from Loring Park, still coming in every day to draw plans at his large drafting board for a steady stream of clients. He retired in 1980 and died in 1985 at the age of 92. Yet today, 25 years later, I miss him for his friendliness, knowledge of the “old days,” and unwavering courtesy. He was always a gentleman. Find more details about Jack Liebenberg's life and career in Minnesota Architects. I think this blog post is the basis for a book of anecdotes. There must be hundreds of curious stories about the foibles and eccentricities of famous (and not so famous) architects. Or a book of character sketches of well known architects (including curious stories). None of the "famous" architects that I met were bland; all were fascinating and compelling in one way or the other. Mr. Lathrop has the command of the language, and the curiosity needed for such a work. I hope he some day sits down to write "misfit masters."